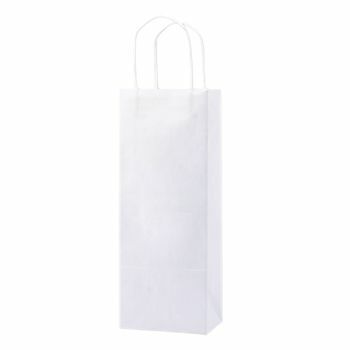 When customers are seen carrying a paper bag from your store, others will immediately know that you're environmentally-friendly. 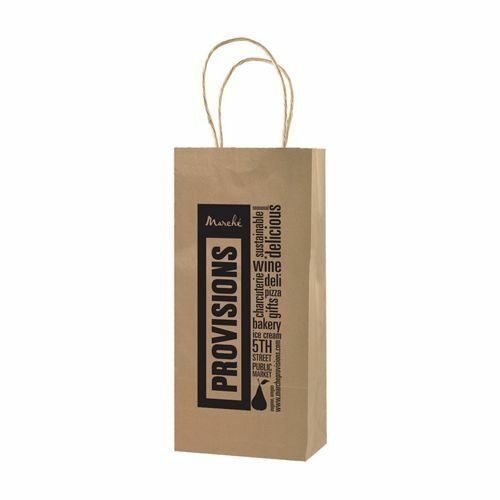 These 50% natural recycled kraft shopping bags are completely functional, spacious and perfect for nearly any occasion. 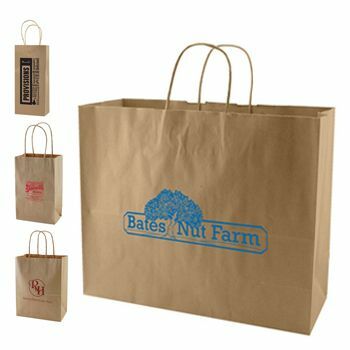 Whether you're in search of shopping bags for your boutique, large retail store, charity event, restaurant or take-out service, these eco-friendly bags are the ideal choice. 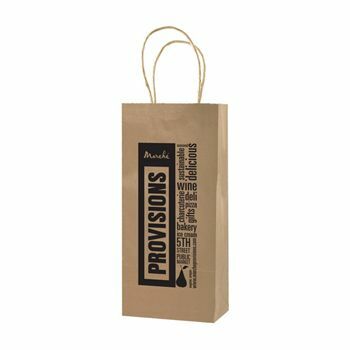 Feel good about your purchase, knowing that these bags are made from recycled materials. 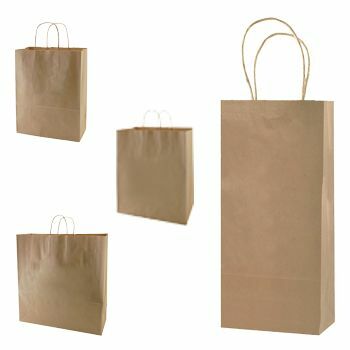 They also feature matching twisted kraft paper handles and a serrated cut top. 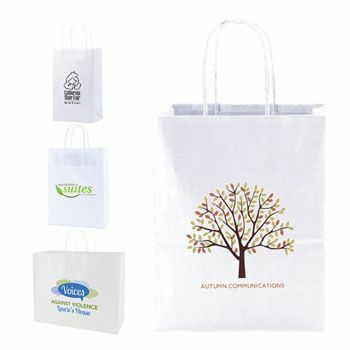 They can be ordered blank or complete with your company or logo name custom printed on them. 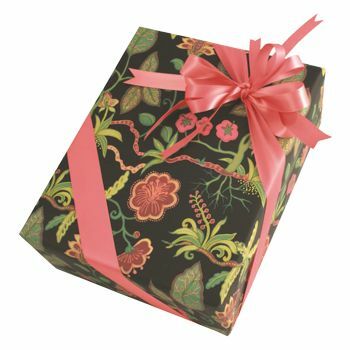 Printing options include Color Magic, Foil Hot Stamp and Flexo Ink. 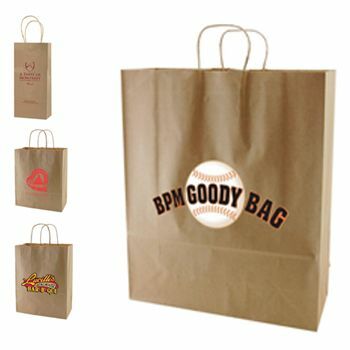 Order today and purchase your shopping bags sold in cases and offered in various sizes.